The ‘Jab Harry met Sejal’ fever is high on everyone. The magic of the film’s music has not only enchanted the audience but also the B-town. The songs from ‘Jab Harry met Sejal’ have made it to the top of all music charts. The peppy and upbeat ‘Radha’, groovy ‘Beech Beech Mein’, power packed ‘Butterfly’, soulful ‘Safar’ and heartwarming ‘Hawayein’ have captivated the hearts and minds of people. Alia Bhatt seems to be hooked to the music album. The actress had earlier expressed her love for the soothing track ‘Safar’ saying she’s playing it on loop, now the actress is eagerly awaiting the release of ‘Phurrr’. ‘Phurrr’ will mark the collaboration of the Grammy winner Diplo and Shah Rukh Khan for the first time. 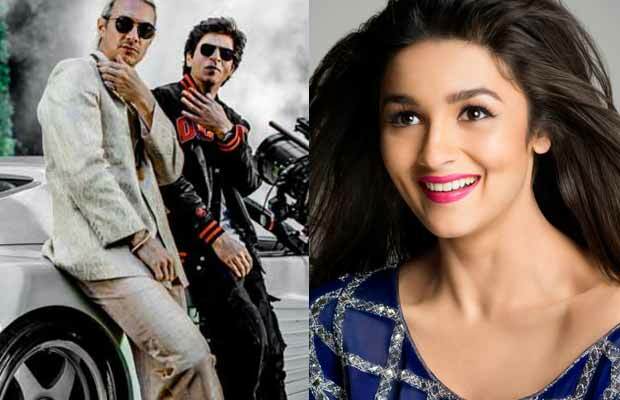 The American rapper, singer, and songwriter has composed a song, “Phurrr“ with Pritam and Rocky Wellstack, for Jab Harry Met Sejal. The song sung by Mohit Chauhan and Tushar Joshi was filmed on Anushka Sharma and Shah Rukh Khan in Portugal. The news of the collaboration has got everyone excited and the anticipation for the song is reaching heights. The Major Lazer singer also convinced Shah Rukh Khan to be a part of the music video. With only 2 days left for the release of ‘Jab Harry met Sejal’ the anticipation for the film knows no bounds. One of the most awaited films of the year, ‘Jab Harry met Sejal’ will see Sha Rukh Khan romancing Anushka Sharma for the third time. Directed by Imtiaz Ali, the love story depicts the tale of self-discovery. Next articleSunil Grover Finally Reacts To Kapil Sharma’s Health Issues And His Successful Partnership With Him!